The interactive map ›The Emirati National House‹, which I had developed for the National Pavilion of the UAE at the Venice Biennale 2016, is going to be on display for the first time in the UAE as part of the exhibition ›Untold Stories Retold‹ at Warehouse421, Abu Dhabi. It provides insights into the geography and landscape of the UAE, as well as the diversity in typology of the Emirati National House, also know as the Sha’abi (folk) housing model, applied across the Emirates. 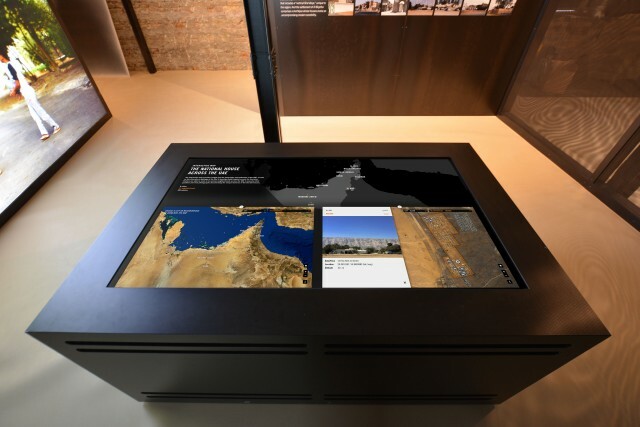 On a 65″ 4K resolution touchscreen multiple visitors can simultaneously zoom in to neighborhoods to examine their qualities and view photographs documenting the unique features of the Sha’abi houses.